Bring the Force to your tree! Light up the holidays (or any room all year long) with these Star Wars Lightsaber Christmas Lights. 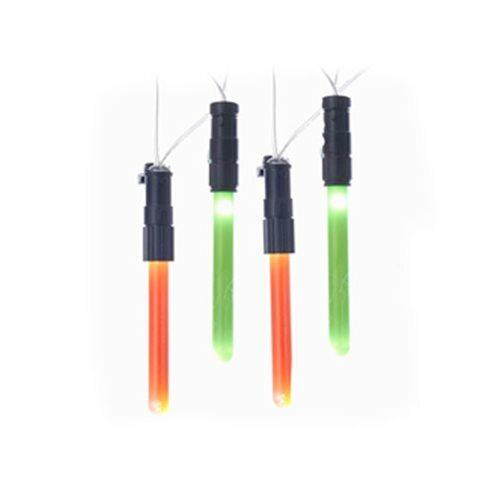 The strand includes 20x lights spaced 6-inches apart, with a 12-inch lead wire, measuring approximately 5 1/2-feet total. The set is battery operated with an automatic timer function for 6 hours on and 18 hours off. Requires 3x "AA" batteries (not included).